If you've stumbled onto this page, it's my old blog and I don't post to this one anymore. 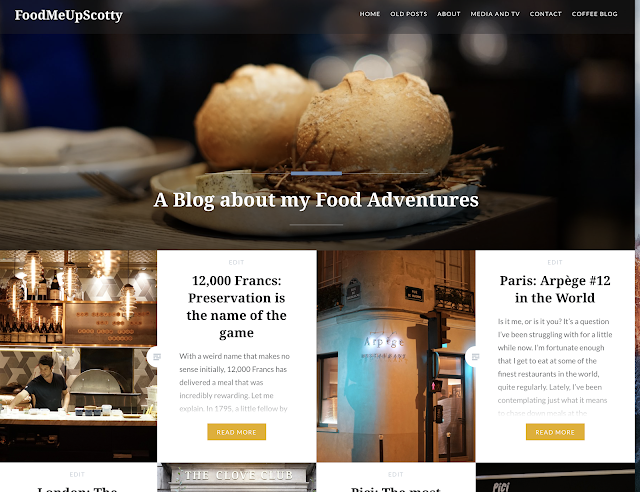 A little while ago, I got bored with the format of my blog. Blogger was not really cutting it for me and I decided to make the big switch to Wordpress. I'm pretty happy with the results. I think you will be too. Just about everyone of a certain age brackets should remember the TV show 'Cheers'. It was a half hour sitcom about a bar in Boston and the catchy theme song for the show was called 'Where everybody knows your name'. If you're not familiar with it, rekindle your memories or experience for the first time here. Anyway, there's a memorable line in the song that goes something like 'Wouldn't you like to get away? to a place where everybody knows your name, and they're always glad you came'. That about sums up my experiences when I visit Tosca in Hong Kong's Ritz Carlton. Granted, the Ritz Carlton's about as far away from a dive bar in Boston, but you get the drift. I've been to Tosca many, many times now and there are a couple of things that keep drawing me back, the amazing setting, the incredible food but most of all, the impeccable service that only comes from a team that genuinely believe in what they're doing and love to provide the best service imaginable. You really do need to stop and look at what's behind the curtain. For over twelve months I walked down Aberdeen Street in SoHo, wandering by a little yellow restaurant that had it's door partially obscured by a heavy curtain. Sure, I knew that it was a Japanese restaurant, the name gave it away. A little research may have piqued my interest much sooner, but the name of that little restaurant really meant nothing to me. It wasn't until a workmate, lets call her Zoe, wanted to help me celebrate my recent birthday with a special lunch time treat. 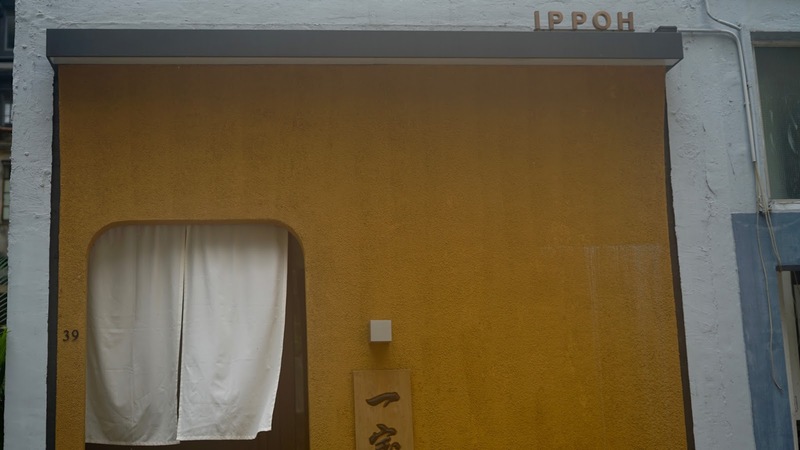 She'd been telling me for a long time that her favourite Japanese restaurant in Hong Kong was Ippoh, and wanted to see if I agreed; so we made our way through Central to SoHo and our midday booking. It was a lightbulb moment for me. Finally the curtain was pulled back and we entered the tiny little tempura style restaurant, and seated at one of the eight spots available at the bar style dining room. All eight seats put diners right in the action where the Ippoh head chef (I never did get his name!) was busy preparing the tasty morsels that would be lightly tempura and fried right before out eyes. There were a couple of options for lunch, the YUKI course which consisted of eight pieces of tempura or the OMAKASE lunch, which was a much more comprehensive journey. No prizes for guessing which we chose. I have to say, I'm not a fan of the huge portion sizes renowned by US style restaurants. I remember tooling around New York hoping that we wouldn't get massive sized meals that we'd feel guilty about not eating. Thankfully, restaurants in Manhattan seem to be immune from the oversized meals, with the exception of one restaurant (that we visited). 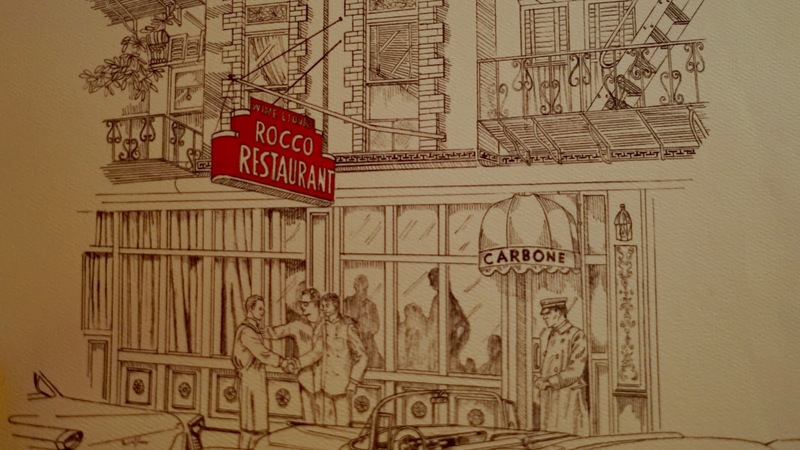 That restaurant was Carbone and we simply could not eat all the food that was placed in front of us. It's possibly one of the reasons why we'd not been to Carbone in Hong Kong, even though it had a reputation for first rate American Italian cookery. But, as these things go, we had a real hankering for some Italian and after trying to book at a couple of other HK hotspots, managed to secure a last minute booking. 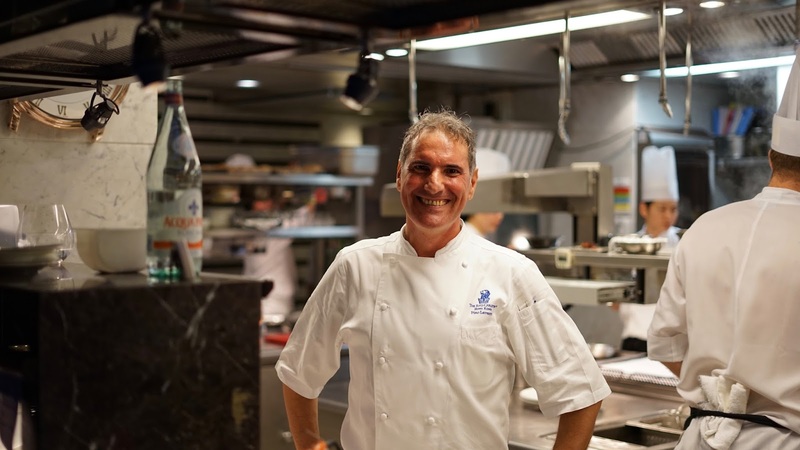 The Honkers outlet of Carbone is a collaboration of New York's Michael Carbone and the ubiquitous food group, Black Sheep. 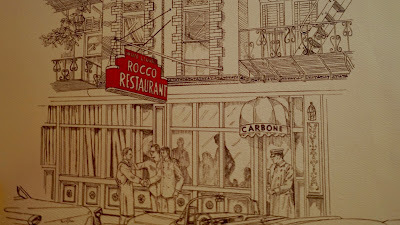 I'd heard and read that the experience at Carbone was over the top and very 'New York' and it only took a few minutes at our table to realise that the stories were true.